uFocus is a distraction-free, Markdown based writing application that lets you create and manage plain text files. We have a lot of these, why am I writing about uFocus? 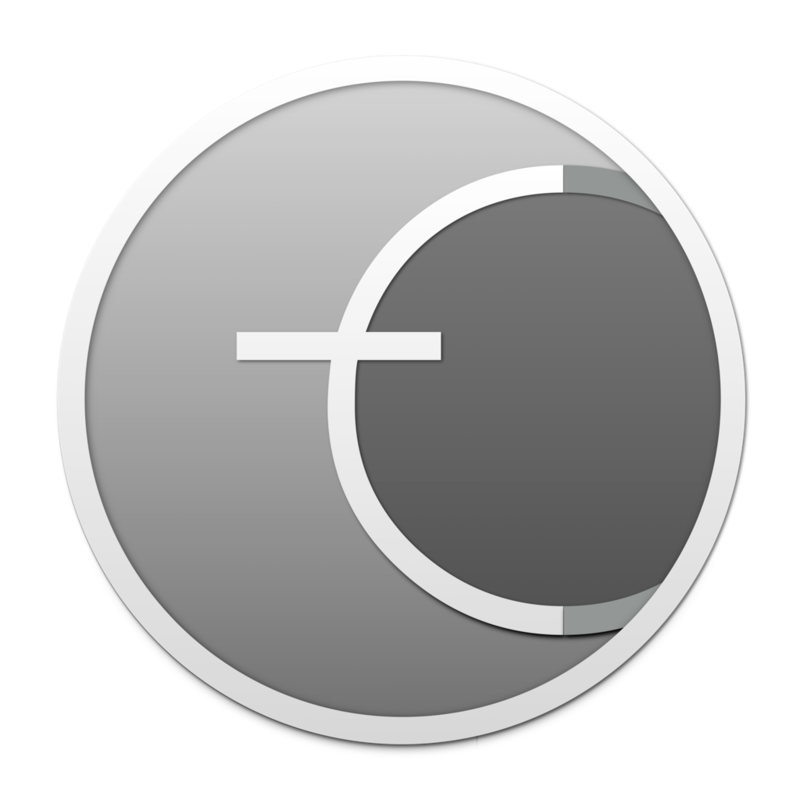 uFocus brings a few extra things to the genre of Markdown based text editors. Sound: uFocus plays old style typewriter sounds when you hit the keys on your keyboard. It is an odd feature which helps me focus on the writing. NoWayBack: If you find yourself editing and not writing, uFocus’s NoWayBack feature can make the process easier. You are not allowed to edit your content. Type. Editing is for later. Library: You can add folders of text files to the uFocus Library. Lets you manage the files and have a whole slew of folders containing text files attached and available to the program. 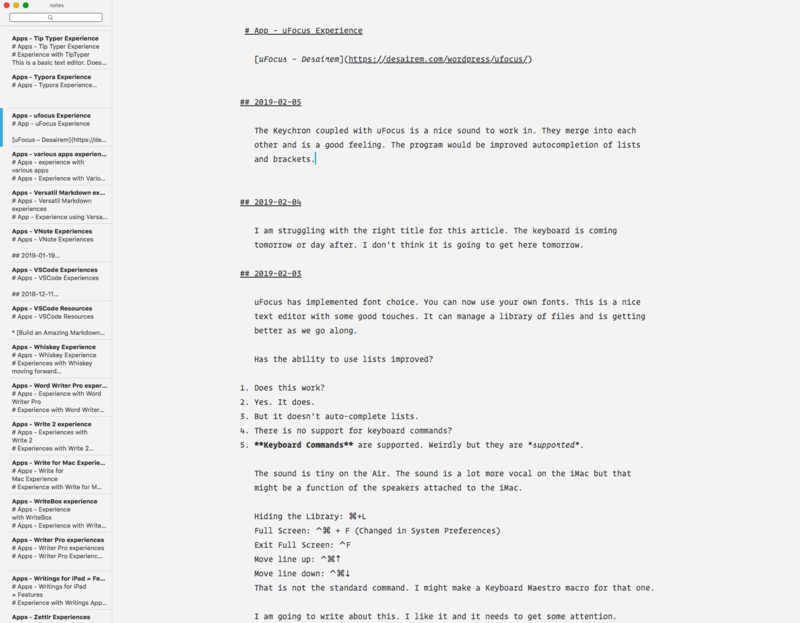 uFocus is a competent Markdown based editor. Doesn’t support the esoteric features like tables and footnotes, but does support basic Markdown. Typewriter Scrolling: uFocus supports typewriter scrolling saving you from looking at the bottom of the screen all the time. Keyboard Commands: Keyboard command support in uFocus is inconsistent. Not all commands have a keyboard command assigned to them. The basic Markdown is supported but the program features are not. I want a keyboard command toggle for Typewriter Scrolling, Highlights and NoWayBack. The other problem I have with the keyboard command implementation is the non-standard choices. Full Screen Mode is implemented through ⌃⇧F. That is not standard. The Apple standard implementation is ⌃⌘F. Moving lines up and down is also non-standard, ⌥⌘↑ and ⌥⌘↓ is usually ⌃⌘↑ and ⌃⌘↓. Adopting non-standard keyboard commands leads to conflict with the users setup of Keyboard Maestro and Alfred macros. Requires the user to learn new habits for familiar commands and that is not ideal. Fonts: uFocus lets you use your own fonts for the program and that is appreciated. Most of these distraction-free editors have barely concealed fascist tendencies which manifests in severe restrictions on user font choice. uFocus stays away from that morass and you can use whatever font you like. Themes: Only a light and dark theme without the users having the ability to modify and use their own themes. Pity. I like Solarized. Auto-pairing of brackets and other Markdown syntax. Full support of an advanced Markdown variant like MultiMarkdown or CommonMark. 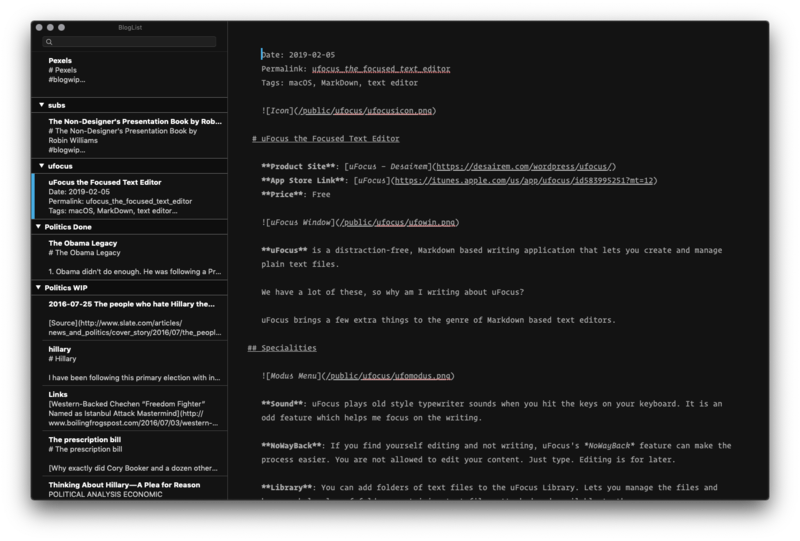 If you are looking for an immersive, capable Markdown editor, uFocus is not a bad choice. It has the added advantage of being free. If you use something else, it is a good idea to have uFocus in the mix of applications that you use. There are times when the typewriter sounds are exactly what you need to jumpstart the writing of the epic you are stuck on. WriteMapper Brings Markdown to Mind Mapping WriteMapper Icon Product: WriteMapper Price: $39.95 to $109.95 Thinking and writing. These are the two activities that writers are engaged in.